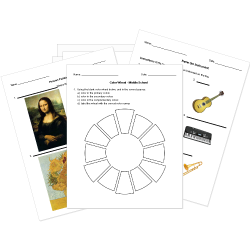 You can create printable tests and worksheets from these Ceramics questions! Select one or more questions using the checkboxes above each question. Then click the add selected questions to a test button before moving to another page. is a term used to describe the process: roughing up the clay surface where two pieces of clay will be joint together. Clay that has been fired once but not glazed. When clay is wet or damp and placed in the kiln to fire, what is the expected result? What stage should the clay body be in when carving detail; so that the subject may keep crisp, hard line, and firm edges. A method of forming clay by simply squeezing with fingers. The term we use when clay is put into the kiln to be baked. What refers to the reduction in size of the clay mass that happens as water evaporates during drying and firing? When the clay is slightly dry and more stiff but still holds moisture it is bone dry. A Sponge is a porous materials used to smooth and wet clay surface. The whole of a pot below the neck or lip. Clay that has been fired once by not glazed. Sharp wooden tool used to cut and carve clay. A rolled out piece of clay is called a coil . A rib tool is used to shape large surfaces. A method of striking clay in order to compress and form it. Wood piece used to store and move clay. is a rope of clay used to decorate a ceramic piece.